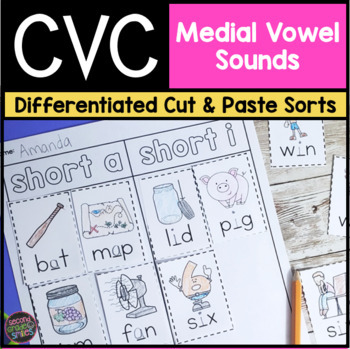 These cut and paste phonics printables are a great way for your students to practice blending, segmenting, spelling, and sorting cvc words, with a focus on medial vowel sounds. That's a total of 30 sorts! 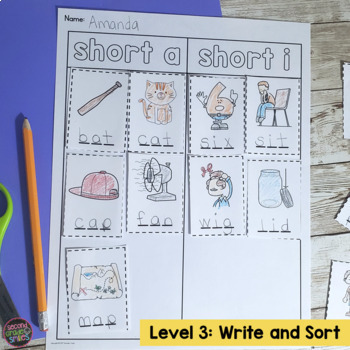 CCSS.ELA-LITERACY.L.K.2.C: Write a letter or letters for most consonant and short-vowel sounds (phonemes). 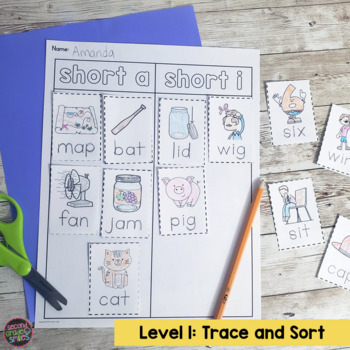 This resource is also included as part of my Cut and Paste Word Sort Bundle. Save by purchasing all my word sorts together! 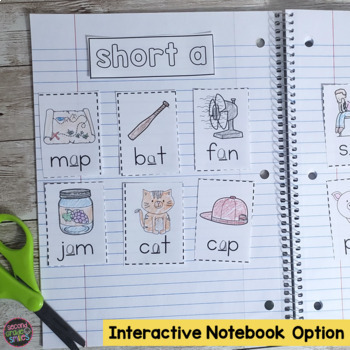 Click here to view all of my Cut and Paste Word Sorts classroom resources.